Happy Hands provides domestic cleaning in Covent Garden (WC2) and other districts in London. We offer a wide range of our domestic cleaning services in northwest London and the central neighbourhood of the London Borough of Covent Garden including spring cleaning, regular cleaning, tenancy cleaning, after builders cleaning and after party cleaning. We are also CIS registered and members of the British Institute of Cleaning Science (BICSc) and the Institute of Directors. Regular house cleaning and domestic cleaning in WC2: We will provide the same cleaner for a minimum of three hours per session. We work according to your schedule and timings, and will schedule a preliminary meeting so you can meet the cleaner and explain your expectations and requirements. Spring cleaning, pre and end of tenancy cleaning: For these services, we provide a minimum of two cleaners and supply all the equipment required to ensure your house comes up to high standards required for tenancy contracts. After builders cleaning: Our cleaners have lots of experience with after build projects and have worked with some of the leading construction and design companies in the UK. After party cleaning: We at Happy Hands provide all services required for the perfect party from cleaning to bar staff. We also provide additional services with regard to domestic cleaning in Covent Garden such as carpet cleaning, upholstery cleaning, curtain cleaning, remedial repair work, painting and decorating as well as washing and ironing clothes. If you are looking for efficient and affordable domestic cleaning in WC2 backed by well established management and experienced cleaners, then consider the services of Happy Hands. Our domestic cleaning in Covent Garden is carried out by cleaners who are carefully and stringently vetted to ensure the highest standards and are among the very best in the industry. We maintain and monitor our cleaners’ performance with client feedback and spot checks. Our domestic cleaning service in Covent Garden is perfect for all needs and purposes. For people who want to spend time with family and friends, are too busy with work or other responsibilities, are sick and cannot clean due to medical or health reasons, who want to improve the quality of their lives or simply wish the luxury of not having to clean their home, Happy Hands is the answer! Our friendly and accommodating staff will ensure that your request is dealt with immediately and will schedule a cleaner to come and visit you at your earliest convenience for you to discuss your expectations and requirements. Whatever size your home is, we will tailor our cleaning service to suit your requirements and clean your house, penthouse apartment or flat just how you want it to be done. 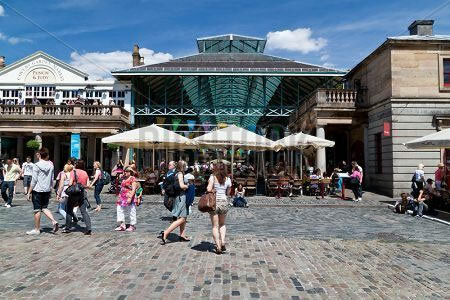 Call us at 0208 452 4060 now or get a free quote directly here for domestic cleaning in Covent Garden.